Today, the 27th International Cartographic Conference is opened in Rio de Janeiro, Brazil! After busy days with nine well-attended pre-conference workshops, the main conference will be opened today. The opening ceremony will also officially open the International Map Year 2015–2016. Dr. Gregory Scott from UN-GGIM will give a plenary keynote on the topic of “Positioning Geospatial Information to Address Global Challenges”. Later today, also the Technical Exhibition, the International Cartographic Exhibition and the exhibition of the Barbara Petchenik Competition will open. More than 70 oral and poster sessions will follow in the next five days. All abstracts and papers are available on icc2015.org. ICC2015 also hosts the 16th General Assembly of the ICA. 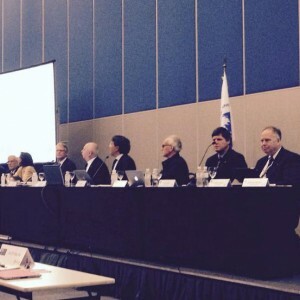 All material and reports for the General Assembly can be found at icaci.org/general-assembly-2015. The first part took place yesterday, the second part – including the voting of the new ICA executive committee, the ICA commissions for the term 2015–2019 and the selection of the place for ICC2019 – will take place on Friday. All results will be published on the ICA website soon after the event. To share your experiences and to stay up-to-date with everything happening at the conference, please use hashtag #icc2015rio.